Other books making the Crawford shortlist: Maria Turtschaninoff’s novel Maresi (Pushkin/Abrams), Rose Lemberg’s poetry collection Marginalia to Stone Bird (Aqueduct), and Michael Wehunt’s story collection Greener Pastures (Shock Totem). The International Association for the Fantastic in the Arts (IAFA) Distinguished Scholarship Award is an annual career award, presented annually since 1986, recognizing distinguished contributions to the scholarship and criticism of the fantastic. The International Association for the Fantastic in the Arts presents an annual award and stipend to the graduate student submitting the most outstanding paper at the Association’s conference. Grant Dempsey with Hartwell Award plaque. The Jamie Bishop Memorial Award is a prize for a critical essay on the fantastic written in a language other than English. The IAFA defines the fantastic to include science fiction, folklore, and related genres in literature, drama, film, art and graphic design, and related disciplines. The Walter James Miller Memorial Award for Student Scholarship in the International Fantastic is given annually to the author of the best ICFA student paper devoted to a work or works of the fantastic originally created in a language other than English. In addition to its scholarly excellence, the winning paper must also demonstrate the author’s command of the relevant linguistic, national, and cultural contexts of the work or works discussed. The names of the winners were first announced in February. The International Association for the Fantastic in the Arts (IAFA) has announced its 2016 award winners. Crawford Award: The winner of the 2016 Crawford Award for a first book of fantasy fiction is Kai Ashante Wilson for The Sorcerer of the Wildeeps (Tor). Participating at various stages of this year’s nomination and selection process were previous Crawford winners Sofia Samatar, Jedediah Berry, and Candas Jane Dorsey, as well as Cheryl Morgan, Niall Harrison, Farah Mendlesohn, Ellen Klages, Graham Sleight, Karen Burnham, Jonathan Strahan, Liza Groen Trombi, and Stacie Hanes. The award will be presented on March 19 during the 37th International Conference on the Fantastic in the Arts in Orlando, Florida. Jamie Bishop Memorial Award: This award, for a work of scholarship written in a language other than English, has been won by Natacha Vas-Deyres and Patrick Bergeron. Walter James Miller Memorial Award: Kristy Eager is the winner of this award for a student paper on a work or works of the fantastic originally created in a language other than English. 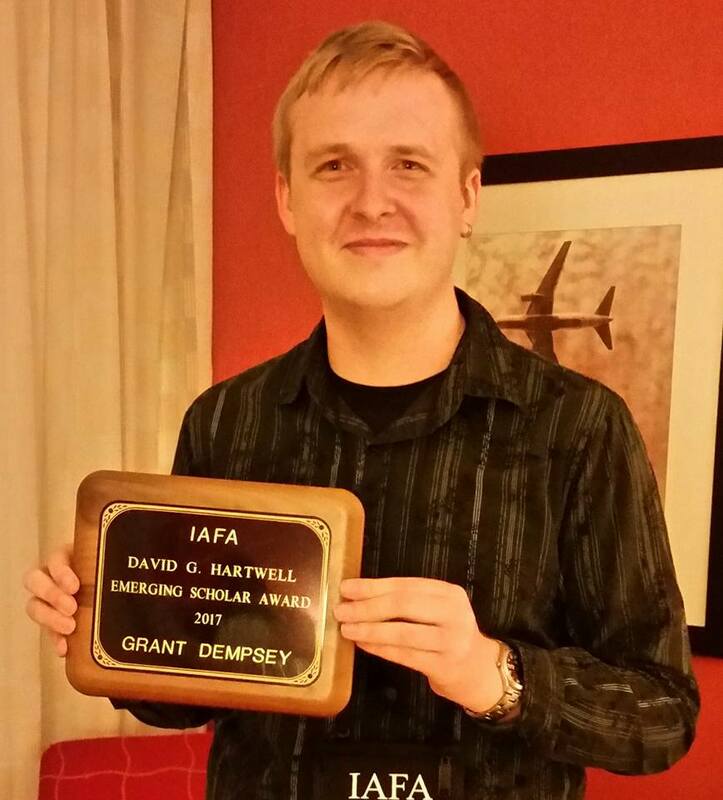 Other award news: The IAFA’s general award for an outstanding student paper, formerly called the Graduate Student Award, has been rechristened the David G. Hartwell Emerging Scholar Award, in tribute to editor and long-time IAFA Board member and book room manager David Hartwell. The winner will be announced at a later date. Zen Cho’s story collection Spirits Abroad and Stephanie Feldman’s novel The Angel of Losses have tied for the 2015 William L. Crawford Fantasy Award, presented annually by the International Association for the Fantastic in the Arts for an outstanding first fantasy book. Each of the winners will receive the full award. Also on this year’s Crawford shortlist were Ghalib Islam, Fire in the Unnameable Country; Sarah Tolmie, The Stone Boatmen; Greg Bechtel, Boundary Problems; and Jessie Burton, The Miniaturist (Ecco). Participating in this year’s nomination and selection process were Farah Mendlesohn, Ellen Klages, Graham Sleight, Karen Burnham, Candas Jane Dorsey, Jedediah Berry, Niall Harrison, and last year’s winner Sofia Samatar. The award will be presented on March 21 during the 36th International Conference on the Fantastic in the Arts in Orlando, Florida. Awards for student scholarship will be announced later.